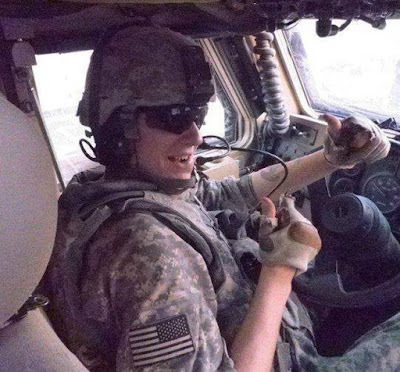 Justus Albert Leach, A 26-year-old Army veteran of the Iraq war, was found dead from a self-inflicted gunshot wound in his backyard at 71 Ft. Caroline Lane Sunday. It was the third suicide by gunshot in five days in Palm Coast. Justus Leach in one of the images he frequently reposted on his Facebook page. A roommate of Leach’s found him Sunday morning in a corner of the backyard, on a bench. “A tactical shotgun was also observed” near Leach, according to a Flagler County Sheriff’s Office report. The gun had been moved by another roommate after he had been advised by a 911 dispatcher to attempt CPR. But a deputy reported that by then Leach appeared to have been dead “for some time,” according to the report. Leach was pronounced dead by a paramedic at 8:57 a.m. Sunday (June 11). It isn’t clear how long he had lived on Ft. Caroline, where four other residents also live. Neighbors did not report hearing any gunshots, according to the deputy. On June 8, a 92-year-old Palm Coast resident took his life after driving to the old Players Club tennis court, and leaving a note and instructions behind for his family. He had been depressed and battling cancer. Two days earlier, a 49-year-old resident of Plantation Bay took his own life at his home. Both men died of gunshot wounds.